Below please browse through the list of reasons why you should invest into these products. Credit Suisse gold bars is the most popular and in demand when it comes to buying precious metals. That is because a Credit Suisse gold bar has a known quality and purity, and is a great investment in almost all situations and circumstances. This is the most popular form of gold commodity that is traded for many reasons, and all of the reasons to choose this gold type are very strong ones. One benefit of these gold bars is that this bullion is available in standard sizes, so it is easy to determine how much you want to buy at once. Buying gold bullion can be tricky from other dealers, because of the possibilities of scams and unethical dealers, as well as low quality gold. Standard sizes help eliminate some of these issues. Credit Suisse gold bars offers the highest quality metal possible. When you buy Credit Suisse or PAMP Suisse gold bullion you are assured that you are getting the best quality gold found anywhere on the market. You do not have to worry about a lower quality that could affect the value of your investment affecting your resale value in the future. 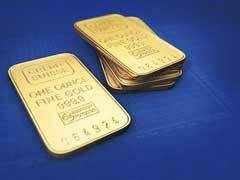 One of the biggest benefits of Credit Suisse gold bars is that you know the purity of the bullion you are getting. These bars are 99.99% pure, and the one ounce bar is small enough to carry conveniently and secure easily. The purity of the metal is never an issue, and has been certified and guaranteed. Security is another reason to choose Credit Suisse products. When you buy gold bullion bars you want security, and these investment products can give you this. Each bar is stamped with a registration number, as well as the purity of the gold, so you know exactly what you are getting before you buy. In addition to all the above mentioned reasons to invest in these products, low dealer premiums that they carry compared to some coins in itself is a great reason to invest. Readily recognized all over the globe you just can’t go wrong with these products.